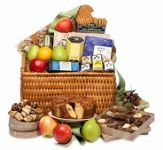 Choose from a large assortment of Gourmet Baskets from Pemberton Farms. 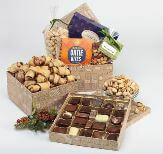 Our Gourmet Baskets offer such delectable items as Vermont Cheddar Cheese, Fresh Roasted Nuts, Homemade Chocolates, Cookies, Candies and More. 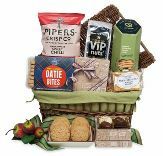 When you send a Pemberton Farms Gourmet Gift Basket, you are sending your friends, family or business colleagues a taste of New England and a taste of the world.